As he took the stage about 2 a.m., the still black sky was illuminated by lighters flashing in approval as far as the eye could see. All over Jamworld, firecrackers were exploding as the zealous Dancehall congregation chanted along with the scriptural lyrics put forth by their “prophet.” Capleton’s praises to H.I.M. Haile Selassie I, DJayed through an arresting juxtaposition of ancient teachings, biblical verse and hip vernacular, produced multiple encores. Each time he attempted to leave the stage, the crowd’s thunderous shouts of “more, more” seemed to shake the entire parish of St. Catherine. A move from the country to the urban hustle of Kingston saw the aspiring DJ working with a variety of small sound systems. 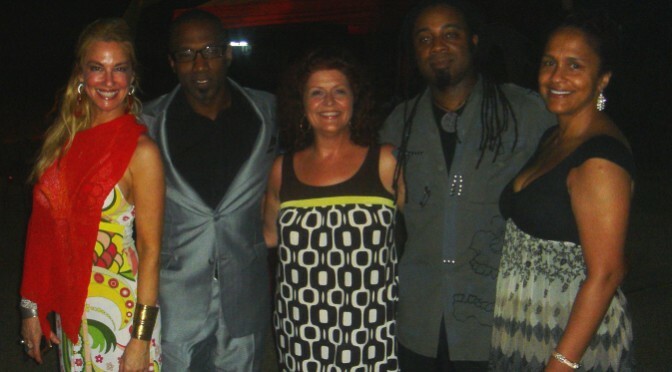 In 1986, he secured a gig with Stuart Brown’s Africa Star set (Mr. Brown remains Capleton’s manager to this day) and his career began to take life. 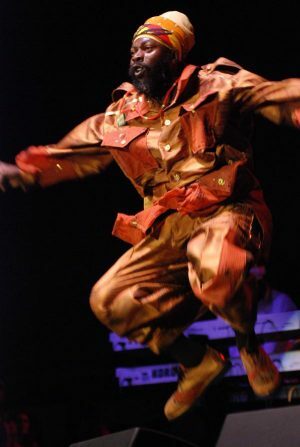 The following year Capleton hooked up with producer Phillip “Fattis” Burrell and recored the X-rated “Bumbo Red,” which generated ’nuff excitement on the Dancehall circuit. In an era of rampant slackness, and after “Bumbo’s” tremendous success, it was expected that Capleton would continue along the same path. 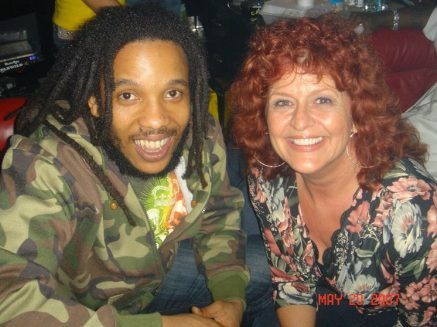 However, he chose to take a more conscious approach to his lyrics with a “big up” to the ladies called “No. 1 ‘Pon the Look Good Chart,” a plea for unification in the Dancehall; “Almshouse”; and the visionary “Prophet,” the title by which he has also come to be known. 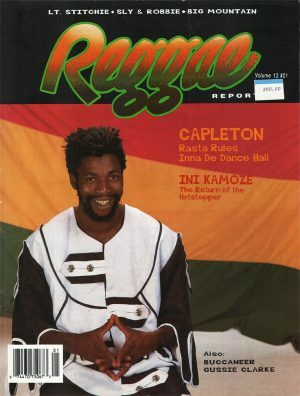 Capleton’s first engagement overseas was in 1989 when he went to Canada to perform with Ninjaman (who ruled the DJ circuit at the time) and Flourgon. “At that time in Canada, nobody knew who I was,” he recalls, “and the response that I got was great. Even though bigger artists performed, they never really moved the crowd like I did. So it gave me the vibes to keep going.” As that show gave him the incentive to continue his work, it was another show, that same year, that nearly made him stop DJing. “That was New Year’s 1989. Someone saw me on the African Star set, stole my lyrics, recorded them and made a great fortune from it. That just made me feel cut up inside, and ’nuff time it made me feel like giving up the business.” With his manager’s encouragement, Capleton persevered and his popularity continued to swell. 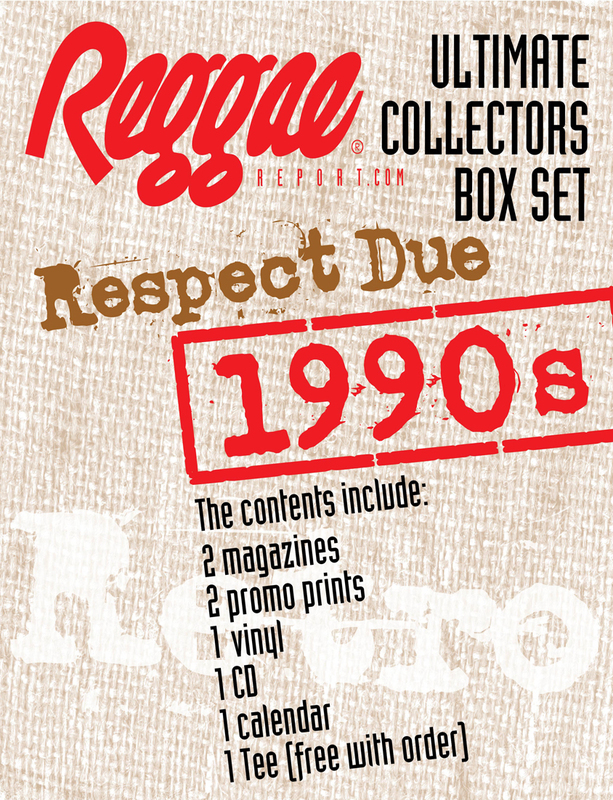 In 1990, he performed at his first Sunsplash, devastating the competition and earning multiple encores. Hard-core Dancehall fans were more prepared than other “Splasher’s” for Capleton’s dynamic delivery of spiritually-versed lyrics and the outpouring of emotion he elicited. A visit to any Reggae club over the past few months, from Kingston to Brooklyn, and at every juggling session and sound clash in between, the greatest response selectors received came when they played Capleton’s tunes. 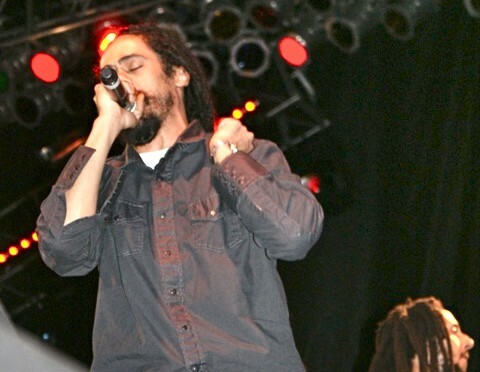 With his songs bearing titles such as “Heathen” and “Warning,” producing the frenzy once garnered by “Coppershot” and “Wicked in Bed,” clearly some drastic changes have occurred on the Dancehall circuit. Words as sanctified as The Book of Psalms have become commonplace, which for most DJs signals a 360 degree turn from what they were chattin’ about merely a few months ago. As a spate of Capleton singles–“Wings of the Morning,” “Chalice” and the immensely popular “Tour”–burn pure fire in the Dancehall, other DJs are now having to rethink the careers they’ve built on gun and X-rated chat, and are scrambling to develop some “reality” lyrics. Transforming from an abyss of immorality to an altar of offerings, the current lyrical adjustments taking place on the Dancehall scene have certainly produced a healthy amount of skepticism among some followers who question certain artists’ sincerity. However, the conviction with which The Prophet puts forth his words and the power within his performances is undeniable. 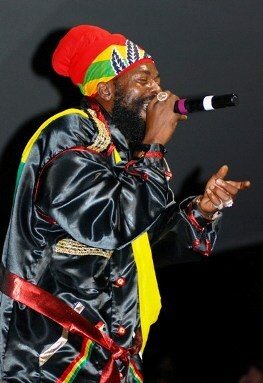 Capleton’s visionary pronouncements, while prayerful and culturally conscious, smolder with a flame of rage that seems capable of igniting a revolution. 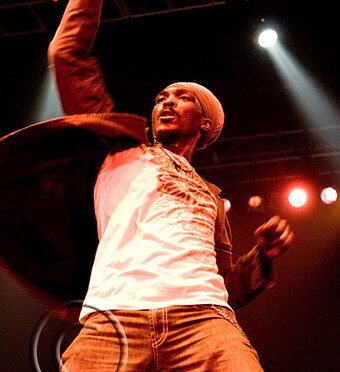 In his smash hit “Tour,” he documents his own career as well as conditions in his homeland: Leave from Jamaica, go foreign ‘pon tour/Preaching, teaching the people for sure/Answer to Jah when him knock ‘pon the door/If ignored you go perish for sure/Come back to Jamaica everything insecure/Rich a get richer and the poor a get poorer/Come back and me see Panhead skull bore/Come back and me see Dirtsman skull bore/It seem like the people them don’t love God no more.